Parthalán, we navigate by stars. Irish mythology illustration. The ships of Parthalán set sail from Greece, past Sicily and around Iberia. They made their way through the stormy seas of Spain until they reached the west coast of Ireland. It was three hundred years after Noah’s flood that they arrived at the Kenmare river in county Kerry, with a thousand followers. Records say they landed in 2520 after the creation of the world. Parthalán had four sons and they divided Ireland into four provinces as it is today, before the division it was one great plain, with three lakes and nine rivers. They tribe of Parthalán were known for bringing farming, brewing and building to Ireland according to historical records, although prior Irish settlers undoubtedly knew these arts too. 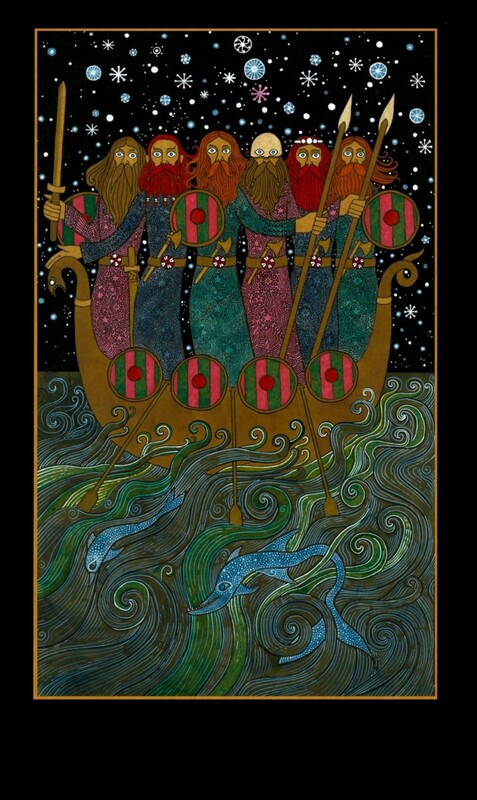 The image created by Seamus Mc Ardle represents one of Parthalán’s ships coming to the end of there long and stormy voyage.